Wednesday we received word that a pair of top Wisconsin Late Model drivers, Pat Doar and John Kaanta will be racing this Friday night at The Legendary Bullring. Kaanta won The Prelude to the Johnny last year, and Doar ran in the World of Outlaws Late Model Series and was 2012 WoOLMS Rookie of the Year. 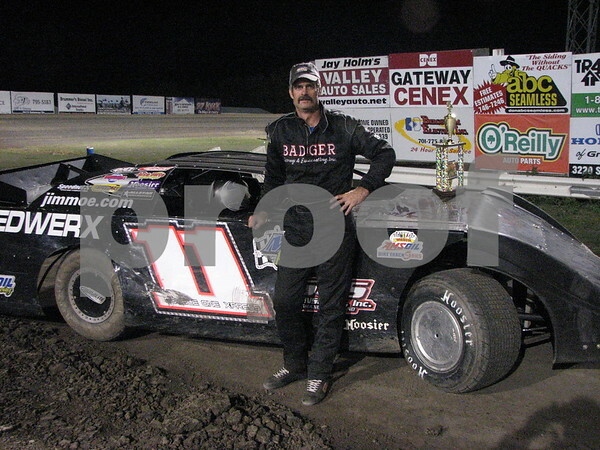 With this news, the two Wisconsin drivers will add to the competitive environment and excitement fans have come to expect from the Late Models at River Cities Speedway. Hotlaps start at 6:30pm with the green flag flying at 7:30pm. WISSOTA Street Stocks, Midwest Modifieds and the Lightning Sprints will also be featured.